This photograph was taken from a makeshift floating blind a number of years ago. The blind was a small unpowered camouflaged boat tied off between two trees. The birds were not aware of our presence and acclimated to the small blind. They came and went as if we weren't there. We were very lucky that we had an easterly wind that morning and as a consequence they were taking off and landing directly toward us with front lighting. 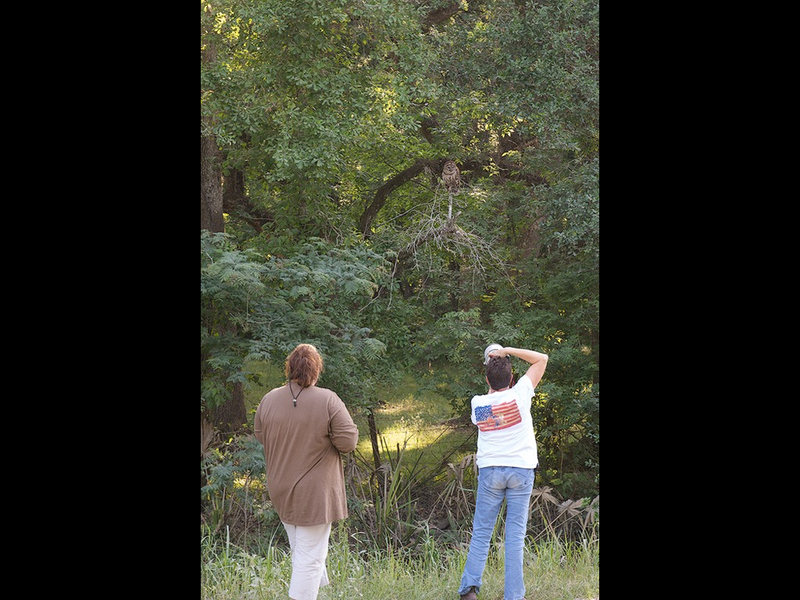 The folks at The Atchafalaya Experience are planning on setting up a hunting blind in a similar manner the day after each of our spring tours, April 18th, May 2nd, and May16th. There will be a $150 charge payable directly to The Atchafalaya Experience, to spend several hours photographing Osprey from the blind. The blind is a bit nicer than the one we used for the shot above, but it is small and consistent with what you would expect for a hunting blind, for example the seats are plastic buckets. However space is very limited, there is only room for 4 photographers. Tour participants will be given preference, but if there is space available non-participants can sign up if there is space available please call me at 985 223-4708 to reserve you spot. One participant cancelled due to medical issues so there is now an opening for the April 14th tour. Check it out here, The April 28th Tour can be viewed and registered for here. A gallery of images from the 2018 Spring tours can be seen by clicking this link. Highlights of theses tours include photographing nesting wading birds including Roseate Spoonbills and flight shots of Osprey. 2018 was a great year for the spring tours and I’m looking forward to a great spring. Join us for some great photography. 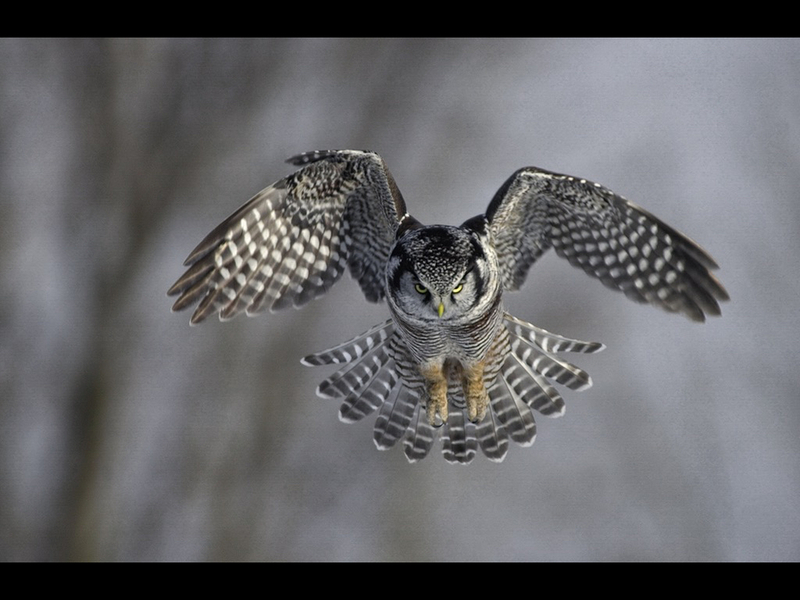 There is also space left in the December 2nd–5th Louisiana Photo Tour. While a bit latter than I normally schedule the tour due to working around the Thanksgiving Weekend, shooting conditions should still be very good as seen from this shot taken in early December. I would love to have you join us for this tour. Images from 2018 can be seen here and the tour site can be seen here. 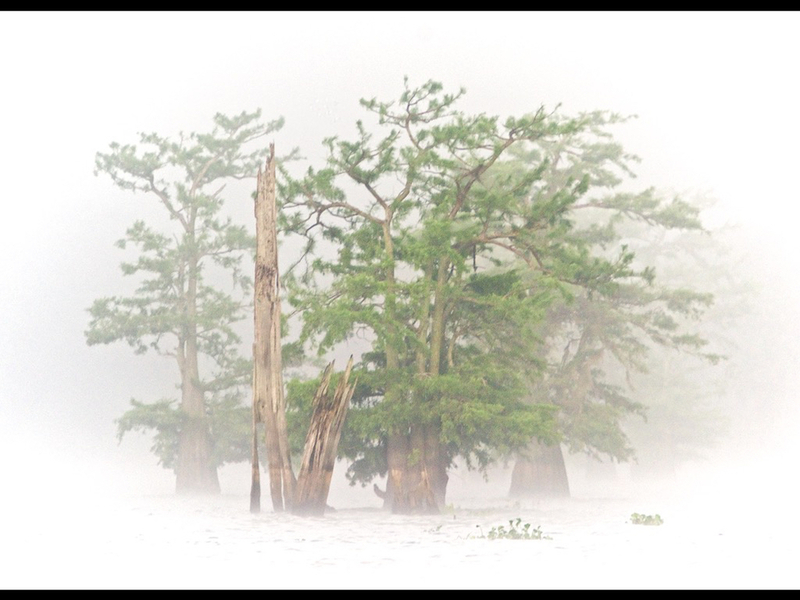 The fall tours feature large cypress trees growing in the swamp waters of Southern Louisiana. 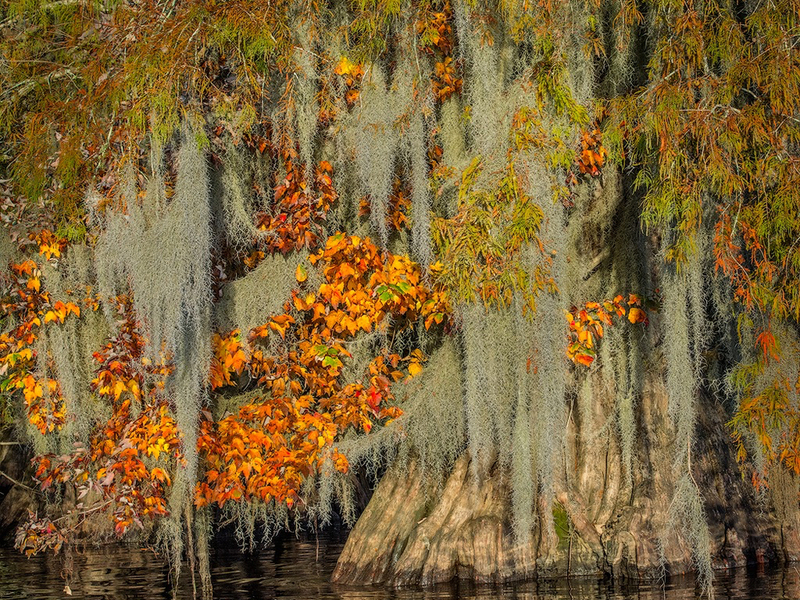 We visit a Lake with a large number of old growth trees with the rust colored foliage of late fall in Louisiana. With a little luck with get a layer of mist or fog over the water backlit with the sun in the early mornings. Over the past several years other photographers have discovered the unique beauty of Louisiana Swamps in the late fall. I’ve been leading these tours since 2006 and know how and when to get you to some of the best photo locations. Check out the tour here and join us in 2019 for some great landscape photography. A Gallery of Images from the 2018 Tours can be seen here. I've been doing photo tours in Southern Louisiana since 2003 and the fall tours since 2006. I know when and where to go. I live in the area so I do scouting trips each year to make sure I get you to the best places. I work with great people (The Atchafalaya Experience) for the boat trips, I've worked them from the beginning, they know what we want, are properly equipped and are at many of the places daily. I limit the size of the tours to no more then 6 participants, and usually I only do 4. I will help as much or as little as you want. While I do photograph on the tour, participants take precedence over my shooting. Southern Louisiana is an untapped area with few other tours operating here. 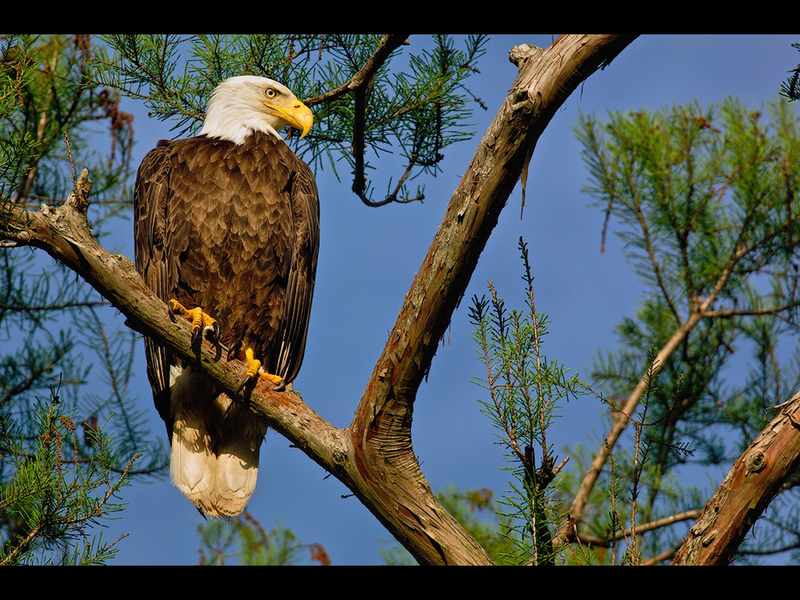 Sixty percent of North America's wetlands is in the state with an abundance of wildlife. I'm at home with digital cameras and computers. Prior to being a full time nature photographer I was an engineer working with telecommunications networks. I know Lightroom and Photoshop well and can help with post processing and photo workflow. We have a good time and eat some good Cajun food and make a lot of very nice images. I teach digital photography classes and photographing artwork classes at the New Orleans School of Art and Craft.Check out and register for my classes and other great classes here. It’s been a mild but rainy winter this year in Louisiana. Temperatures have been reaching the upper 60’s to lower 70’s for the past couple of weeks. The grass is beginning to grow, leaves are starting to appear on trees and the oriental magnolia’s are in bloom. I’ve been out in the yard with the macro lens documenting the magnolia blooming. It has more blossoms this year. I’m ready for the end of winter and ready to be out photographing nesting birds. 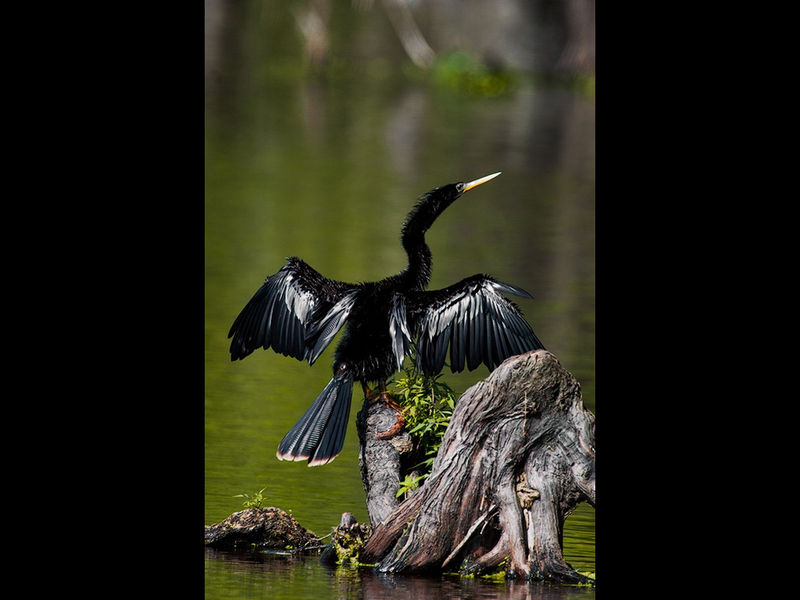 The April 14th-17th and May 12th-15th Louisiana Bird Photography Tours are full. The Aril 28th–May 1st which I added after the other two filled has two openings. The nesting season should be in full swing and I’ll have been out multiple times finding the best shooting. Please consider joining us for this tour check it out and register using this link. A gallery of images from the 2018 Spring tours can be seen by clicking this link. 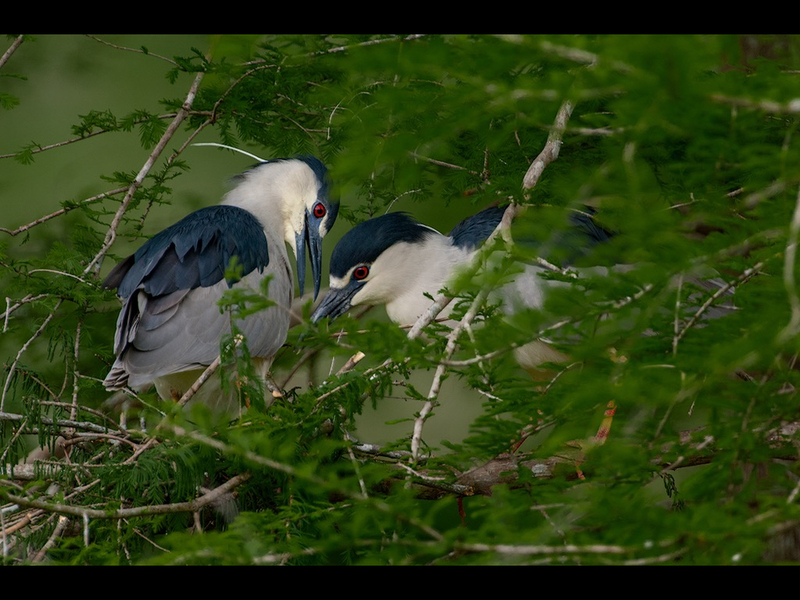 Highlights of the tour includes photographing nesting wading birds including Roseate Spoonbills and flight shots of Osprey. 2018 was a great year for the spring tours and I’m looking forward to a great spring. Join us for some great photography. While there have been many changes over the years, I’ve been leading these tours since 2003. 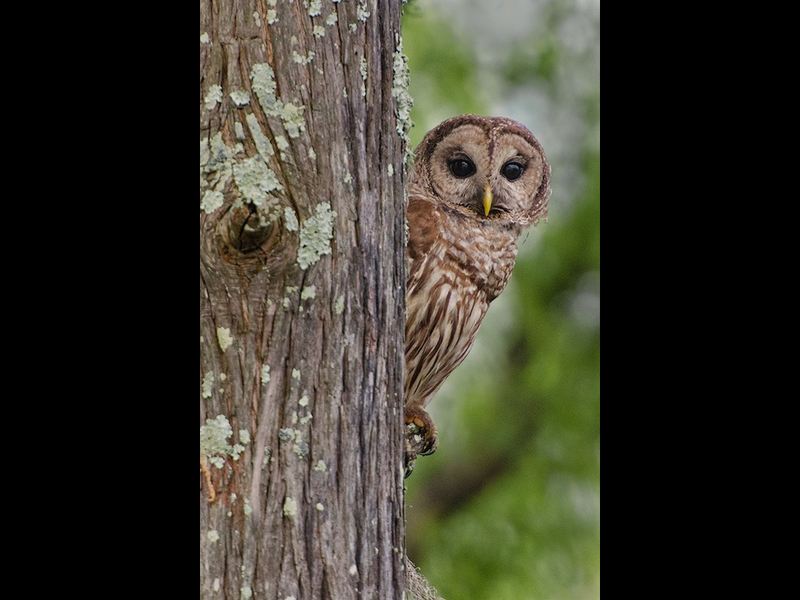 Southern Louisiana offers many opportunities for photographing birds and has remained largely uncovered by other photo tour leaders. The first fall tour from November 17th-20th is already full but spaces remain for the December 2nd–5th tour. Please consider joining the tour. 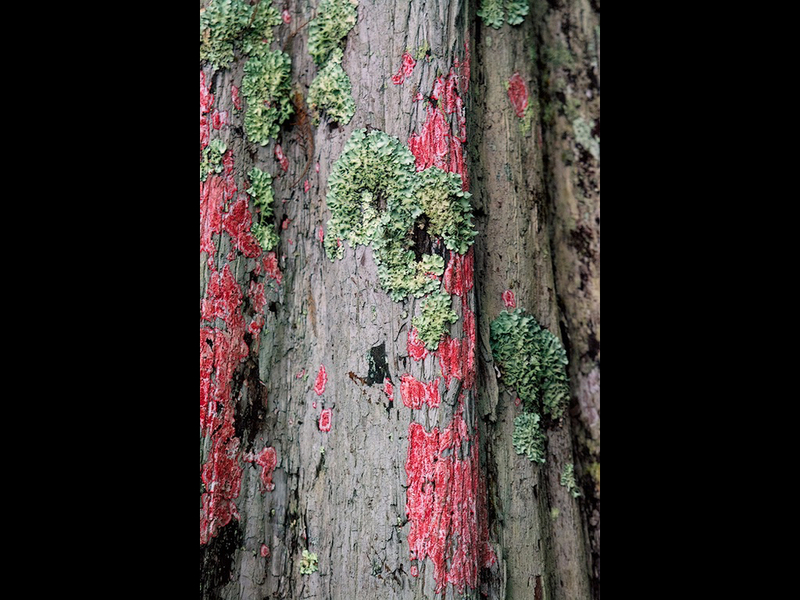 I teach digital photography classes and photographing artwork classes at the New Orleans School of Art and Craft. Check out and register for my classes and other great classes here. The scheduled April and May tours have filled so I’ve added another spring tour at the end of April, check it out and register using this link. A gallery of images from the 2018 Spring tours can be seen by clicking this link. Highlights of theses tours include photographing nesting wading birds including Roseate Spoonbills and flight shots of Osprey. 2018 was a great year for the spring tours and I’m looking forward to a great spring. Join us for some great photography. Fall 2019 Louisiana Landscape Photo Tours Scheduled for November 17th-20th and December 2nd-5th. The 2018 Fall Landscape photo tours were a great success. While several of the days were in overcast conditions, we were able to create some great images. Both tours had a great day with sunlit skies. The first tour and a morning with fog over the surface of Lake Dauterive, providing perfect conditions for shots with the fog lit by the sun in the ancient Cypress. 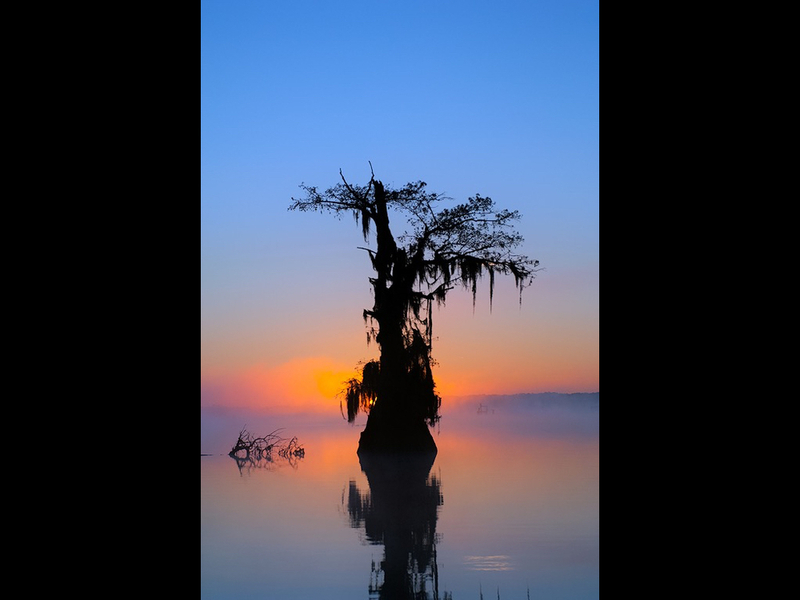 Both tours featured the rust colored ancient Cypress growing in the water and spectacular sunrises and sunsets. Check out the tours here and join us in 2019 for some great landscape photography. A Gallery of Images from the 2018 Tours can be seen here. I’ve completed my April Bird Photography Tour. All four days we photographed had beautiful weather and shooting conditions were excellent. 2017 was a great year for the spring and fall tours. Both Spring tours yielded great images. Miller's Lake and Jefferson Island Rookeries were going strong. While the weather forecast for both trips wasn't optimal, conditions ended up being very good with only one shoot at Jefferson Island ending a little earlier than planned. Conditions for the Fall tour were ideal with a spectacular sunrise on the final day. 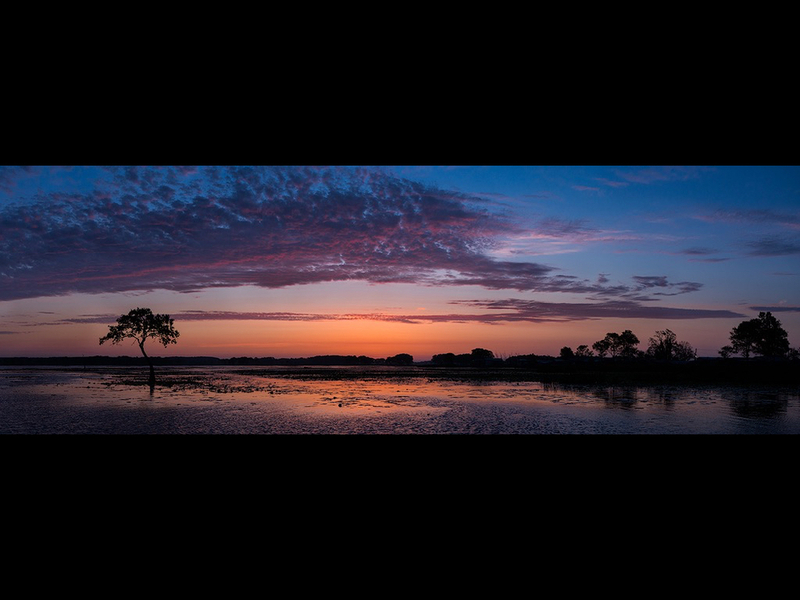 Both Henderson Swamp and Lake Dauterive yielded some very nice images. May was a very busy and productive month. 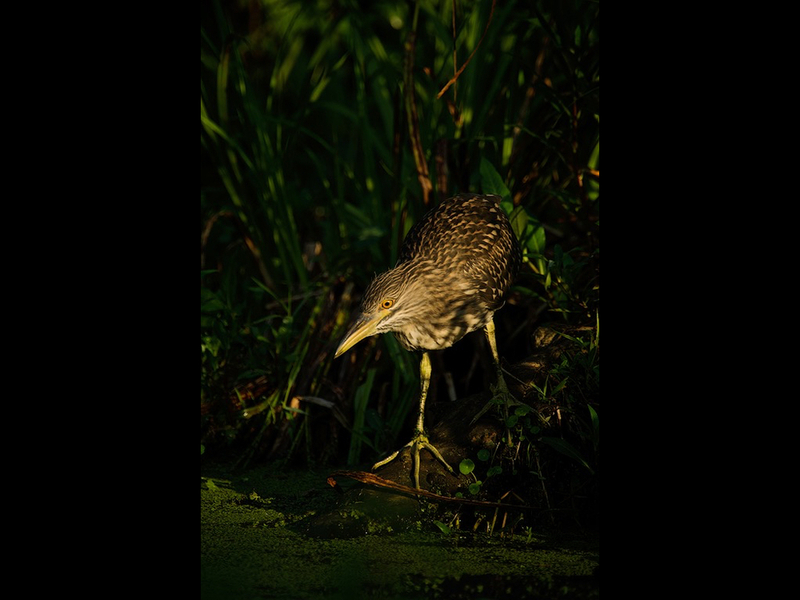 The second Louisiana Bird Photography Tour was a wonderful success. While like the first tour, the weather forecast was not the best, we danced around the rain and made some wonderful images. March and April are busy months here in Louisiana for bird photography. The birds are back, early in the month I do scouting trips and then later I do my first tour. This year is no different I've done several scouting trips and I completed my first tour. My good friend Kim Voorhies of the Atchafalaya Experience polling us through the swamp on the November photo tour. I've been working with Kim on these tours for 15 years now and he is the best, going the extra mile time after time to get us the best images. Unlike photographing with visable light, creating a realistic looking IR image requires a significant amount of post processing. The following outlines the steps I've taken editing a typical image from my D800 camera with the 665nm IR conversion. I've been frustrated for some time about having a very short window of good light early and late in the day. The middle of the day has always been a challange. Fortunately there's one form of photography that is best in the middle of the day with bright light, Infrared (IR) photography. On Friday March 24, 2017Louis Benard, Kim Voorhies of The Atchafalaya Experience and myself visited Lake Martin to check out the status of the birds, clear some of the boat paths to our favorite shooting spots for the upcomming photo tours (April 16th, and May 21st), and get a few photographs along the way. Yesterday, March 18th, 2017, I made my first trip to check out the sites I use for my April and May Louisiana Bird Photography Tours. 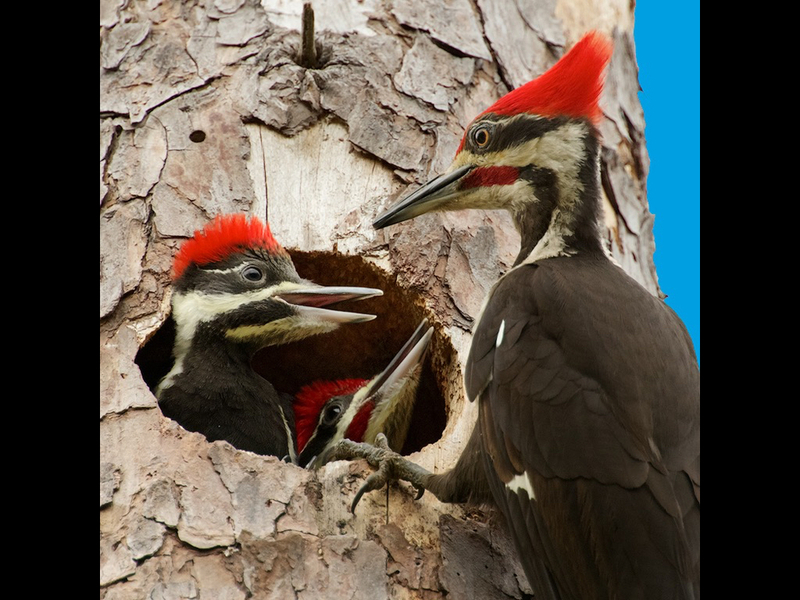 I visited Lake Martin, Jefferson Island, and the Wading Bird Rookery located in Klondike Louisiana. When I arrived early Sunday morning May 1st, the weather was not looking promising for the tour starting that evening. I sat out a torrential downpour in the car at Lake Martin and thre were reports of I-49 being closed due to flooding. The forcast was dismal until Wednesday morning, the last day of the tour. Fortunately things did not work out as forecast I this is one of the best Spring Lousiana Bird Photo Tours I've done to date. I'll be giving a talk tonight at 6:45pm at the Lafayette PHotographic Society Meeting in the Magnolia Room at the Comeaux Recreation Center 411 West Bluebird Drive, Lafayette, LA 70508. Attached are the Slides I'll be presenting. The water levels in the Atchafalaya River, where much of my photo tours are conducted, are dependent upon the Water levels in the Mississippi River. The Atchafalaya is a tributary of the Mississippi and in fact once was the main channel of the river. North of Baton Rouge there is a structure, called the Morganza floodway, that controls the flow allowed into the Atchafalaya and except for when there is a risk of flooding downriver, regulates the flow into the Atchafalaya at 30 % of that going into the Mississippi. There were projections last week, that suggested the Floodway would need to be opened to mitigate a risk of flooding to the populated areas in and around New Orleans. Fortunately the level has been less than projected and the floodway is not expected to be opened. The level of the River may be tracked here. Even though the levels aren't as high as projected, the river will be much higher than normal allowing access into areas we normally can't reach. For example, Cow Island Lake is an ideal place to photograph Osprey in flight, the River level must exceed 15 feet to allow access. Many years we aren't able to get in. While I suspect levels will be lower by the time of the tours, we'll be keeping an eye on the River Levels between now and then and adjust the itinerary to match the conditions. During the Spring I have numerous classes scheduled in New Orleans. 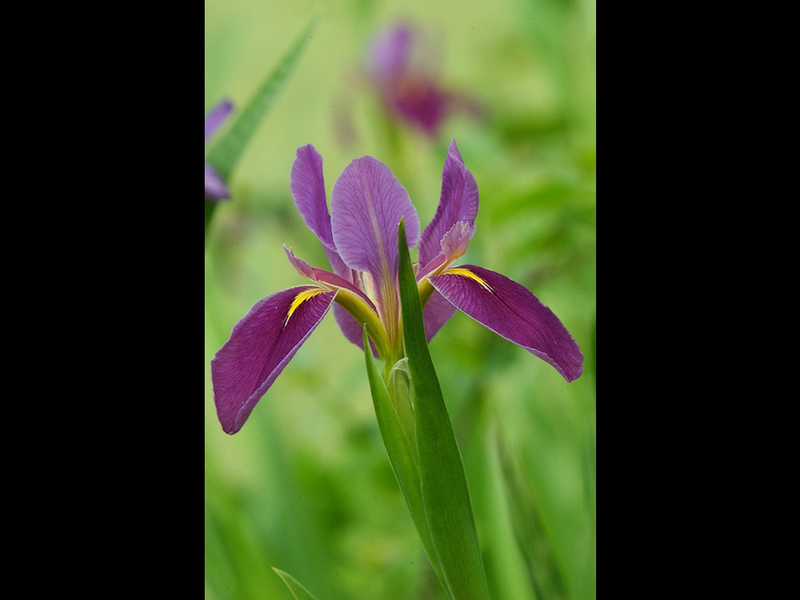 I'm also scheduled to present to the Lafayette Photographic Society on April 11, 2016. Check out the classes on my Web Site here. The Spring Photo tours may be viewed here. This will be my 12th year leading these tours. 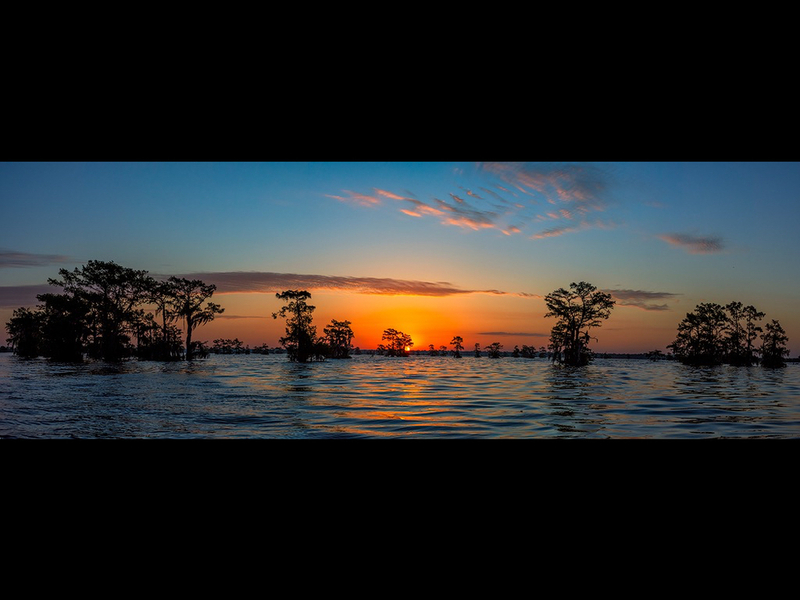 For that time I've teamed with the folks at "The Atchafalaya Experience", who are second to none and get us into some incredible areas for photography. While each year is a bit different due to changes in the environment and weather conditions, each has gotten a bit better. 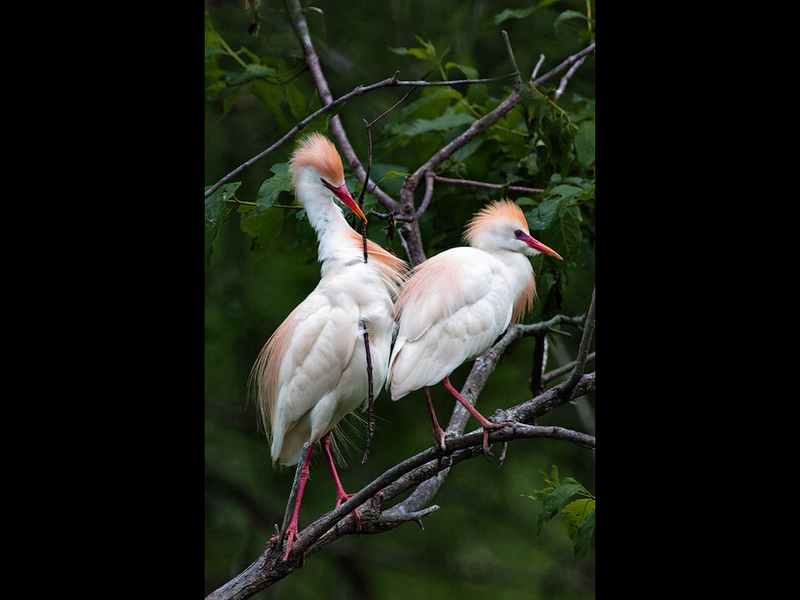 Since the loss of the Rookery at Lake Martin, we have found alternatives that offer even better photography of wading birds, including Roseate Spoonbills, as well as other opportunities such as Osprey in flight. Please consider joining one of the tours this year. At 10am this morning the Corp of Engineers opened parts of the Bonnet Carre Spillway diverting some of the flow of the Mississippi River into Lake Pontchartrain. It is also possible they will open the Morganza Floodway, diverting some of the River into the Atchafalaya River Basin sometime next week. This is being done to protect the populated areas in and around New Orleans. 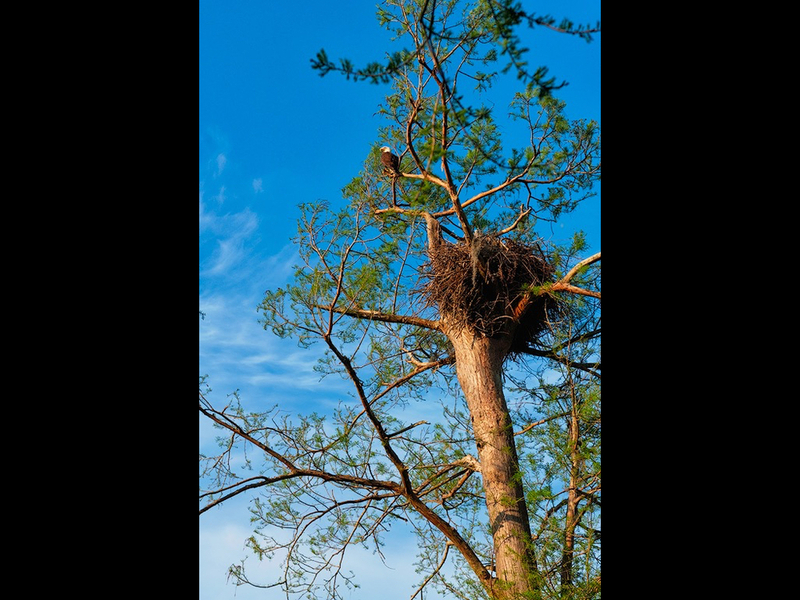 The photograph above was taken in early April of 2011 at Cow Island Lake, one of our favorite places to photograph Osprey in the Atchafalaya basin. This is a great place to photograph them as the nests are just above the water level. Later that spring the Morganza floodway was opened and the nest you see above was underwater. Several of my friends participated in the rescue of the chicks on this and other nests on the Lake. While I'm in full support of opening the floodway to protect New Orleans and other communities along the river, I can't help think about the impact on the people and wildlife in the Atchafalaya Basin that may be impacted. [I heard an interesting article on NPR this evening. All but 3 of the pay phones in New York City are being replaced with WiFi Kiosks. A search on the web uncovered this NYtimes article. I've had an affinity for pay phones for some time. I spent quite a bit of my engineering carier building telephone networks and installing private telephone systems. I don't have any good images of pay phones as when they were plentiful, there was no reason to photograph them and then they disappeared and belatedly I wish I had. LIke Book stores and Newpaper vending machines, I fear they are now really a thing of the past. While we don't have the colorful red phone booths like the British, there's something about the sleek glass booths of day's past that just invites a photograph. Oh well, time marches on. Playing with Photoshop, converting a large panoramic image into a circular composition. My latest Newsletter containing information about the 2016 tours and classes as well as additions to the web site. An article documenting a project to capture images of Becky Burt's incredible art.